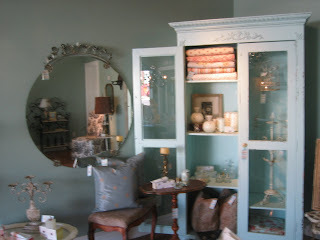 Come see us to find that perfect and unique Christmas gift while you still have a few days! 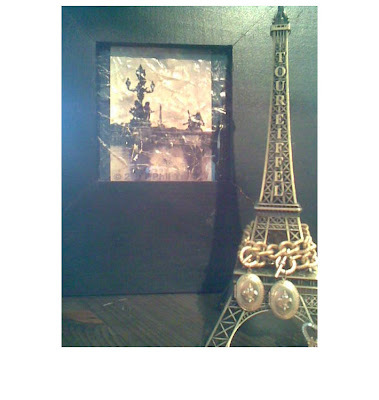 We have lots to choose from, and everyone loves a little Paris for Christmas!! 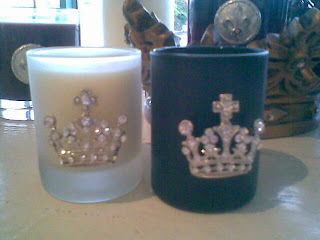 Awesome scented candles with swarovsky crystal crowns!! 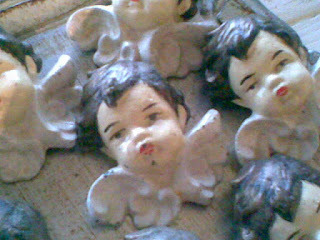 Sweet cast iron cherubs for the holidays! Joyeux Noel from Paris Envy! We are back from Paris and excited to celebrate the holidays! 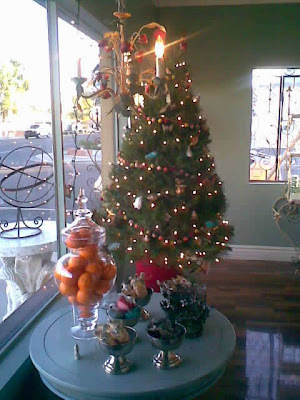 The shop is all decked out with wonderful gifts, stocking stuffers, ornaments, wreaths, candles and twinkling lights. Come escape for a bit and enjoy the sights, sounds and scents of a Paris Christmas! We are headed to Paris for a week of flea-marketing and treasure hunting!! We hope to bring back some wonderful stuff, so please come see us at the shop Wednesday, November 14 when we resume normal business hours. New Things To Tempt You!! 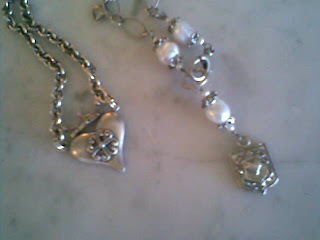 Hand-made jewelry from J. Morgan designs -- Joyce Morgan's pieces have a wonderful vintage look and quality about them. Crowns, fleur-de-lys, and crests adorn her necklaces, bracelets and earrings. You feel as though you stumbled upon a treasure from some royal family's collection! John Wind's jewelry pieces have made him quite a sensation --he's been profiled in a number of national magazines --and they've been a hit since they first arrived in our shop last spring! 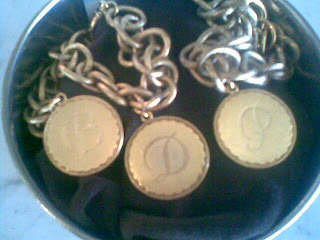 We've just added his initial charm necklaces and bracelets--the initials are stamped on a "coin" of matte gold--very chic with that vintage feel. We will also be featuring select pieces from his 2007 Holiday collection in the up-coming weeks. We'll keep you posted! 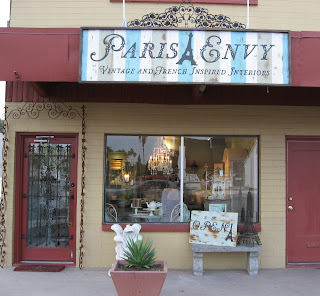 Paris Envy is pleased to announce our Grand Opening! 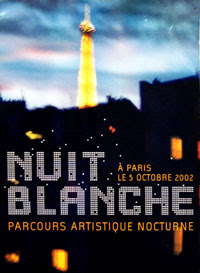 Every year on the first weekend of October, the lights of Paris shine all night long as shops, museums, galleries and cafes extend their hours for this cultural festival. People flood the city and revel in the food, wine and fun of the "White Night!" p.s. 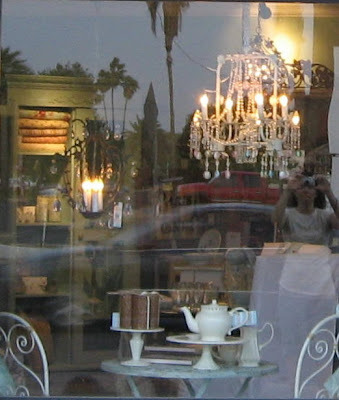 First Fridays will be happening in downtown Phoenix, so there will be lots to see and do!! 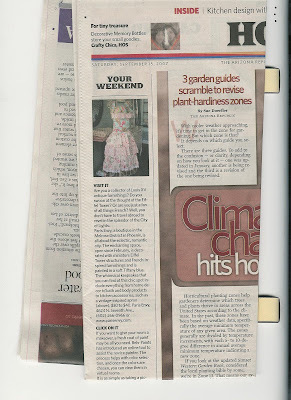 Did you see us in the paper? ?